provides news analysis and commentary about the changing world of the late 1930's and early 1940's. Norman Corwin's visits to England during WWII. It documented war-time conditions in England from the perspective of the citizens of England, instead of those in power or of handouts from the war department. Entertaining fifteen-minute Treasury Dept spot featured a Patriotic Sketch and a Patriotic Song. Rare chats between American journalists and their British colleagues in London. 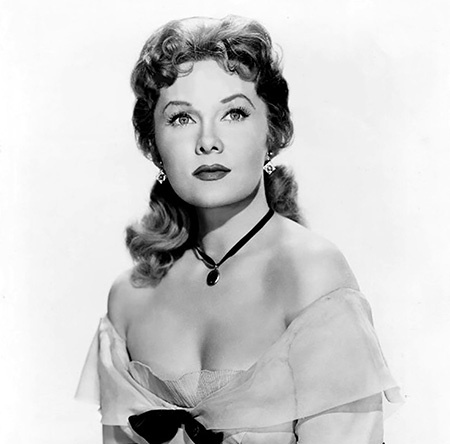 Born in the US, Mildred Gillars starred in the 1942 Nazi broadcast, "Home Sweet Home" where she used stories about cheating girlfriends and wives to sow discontent and homesickness in American G.I. 's listening to the radio. Presented by Uncle Sam and directed by Captain Glenn Miller. Created by the United States Navy during WWII, this old time radio program was created to "report to people of the United States on the progress of its navy in the war being fought in five oceans." includes news reports and speeches on the german invasion across Europe as the atrocities unfolded. 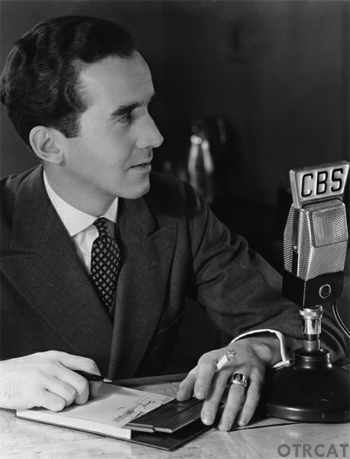 one of the first news shows to send famed correspondents, Edward R Murrow, John Charles Daly, and William L. Shirer, around to world to give American eyewitness accounts to some of the most dramatic events in history. Orson Welles originally starred in and wrote for Ceiling Unlimited after returning from Latin America in 1942. It was a Patriotic drama series and recounted the heroic efforts of the Allied service men of WWII. Charlie and his Orchestra was a Nazi Propaganda jazz group specifically aimed at demoralizing Allied Forces during World War II. Hailed as "the poet laureate of radio", Norman Corwin created this WWII collection featuring his brilliant writing on topics that mattered the most in his day. WWII comedy, music and drama its star-studded finest! The day the Nazis invaded Poland is seen as the beginning of the Second World War. The staff of WJSV recorded the entire days broadcast, so we can learn about the events as they unfold. 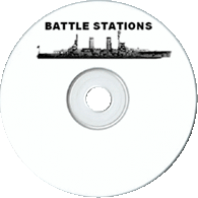 complete broadcast day recordings of the Pearl Harbor, December 7, 1941.The Japanese attack changed the history of the world and officially brought the United States in World War II. The invasion of Europe was to be the turning point of The War, but no one back home knew when or how it would happen. 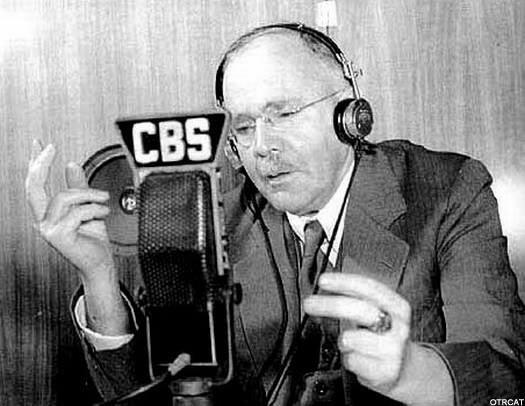 CBS recorded their entire broadcast day on June 6, 1944, so we can learn about the events as they unfold. original full day broadcast from the day of the invasion June 6th, 1944 including news bulletins, comedy and variety shows. These recordings illustrate the response on the American home front to the Normandy Landings called "the greatest invasion in the history of the world." is a series of six narrative letters based on real letters written by Americans to Adolf Hitler during WWII. 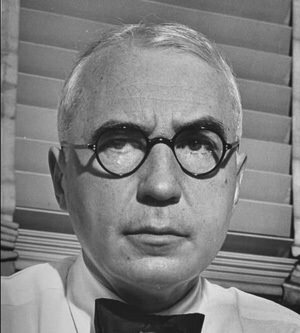 During the months before Pearl Harbor, FDR appointed Elmer Davis to head up the Office of War Information. 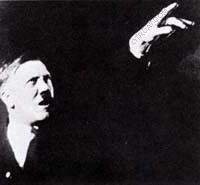 From this bully pulpit, Davis helped to whip the Nation into a fury over the aggressions of the Nazi's in Europe. Writer/Producer Arch Oboler and Actor Ronald Colman pull out all the stops in this morale boosting effort as they give Everything For The Boys during WWII. Who knows whether or not the enemy could be flying towards the West Coast for a sneak attack on the American mainland? Our first line of defense was the volunteers of the Aircraft Warning Services who were dedicated to keeping their Eyes Aloft. Broadcast in 1945, this old time radio show focused on the technological achievements of the Army Air Forces (AAF) including: dropping the Atomic bomb on Hiroshima, radar defenses, blind landings, hydroponics, the GI Bill, and much more. With dramatic reenactments and jazzy music interludes, this show featured interviews with the principal officers and pilots involved. written by Arch Oboler and William Robson: this WWII propaganda old time radio program helped advertise US Bonds to fund the war effort. Although some of these boys would not have picked up a book themselves after they left high school, programs like From the Bookshelf of the World exposed them to some of the great stories in literature. 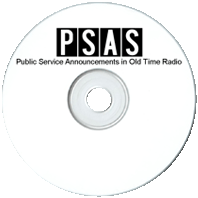 (update) with more than twice as many episodes: Armed Forces Radio Service was been created by the War Department as a means to entertain and inform the troops during WWII. The service was run "by G.I.s for G.I.s" and broadcasts included performances by Glenn Miller, Kay Kyser, Tommy Dorsey, Bing Crosby, Jack Benny, Bob Hope and many more! (update) with 25+ new recordings: Listen to historic speeches from the 33rd President of the United States, Harry S. Truman. Thrilling tales of men who faces a hostile sea and an even more hostile WWII enemy. Featuring William B Williams, The Home Front tells the stories of WWII from the point of view of the families and friends who stayed home. This old time radio show chronicled the adventures of two "Navy Heroes" Naval Aviator Gil Perry and his sidekick Trigger Brett who returned to the Central Pacific to start an air freight company to serve the smaller islands. Produced in cooperation with The War Shipping Administration during WWII, It's Maritime featured stories from the history of man's adventures on the high seas. One of the biggest obstacles to WAAC recruitment was the fact that the Army uniform for women was decidedly unattractive compared to the other services. Army Services Forces countered this problem with radio programs like Just For You. Patriotic music urges Americans to join the WWII war effort whether it be through military service, buying war bonds, or volunteering for Civil Defense. A Patriotic Program that Serves as a Reminder of what America Stands For! Enjoy music of every kind from opera to big band from the 1940s Music America Loves Best presented by the Armed Forces Radio Service. The winds of WWII were swirling in the headlines in 1938, as the Japanese Navy was growing, Germany annexed Austria, anti-Trotsky trials were run in Russia, and religion was being oppressed in Germany. News program featuring the biggest events and news stories of 1941 leading up the the Attack on Pearl Harbor on December 7th, 1941. Allied forces were advancing in all theaters of WWII, but there was a lot more fighting to come. 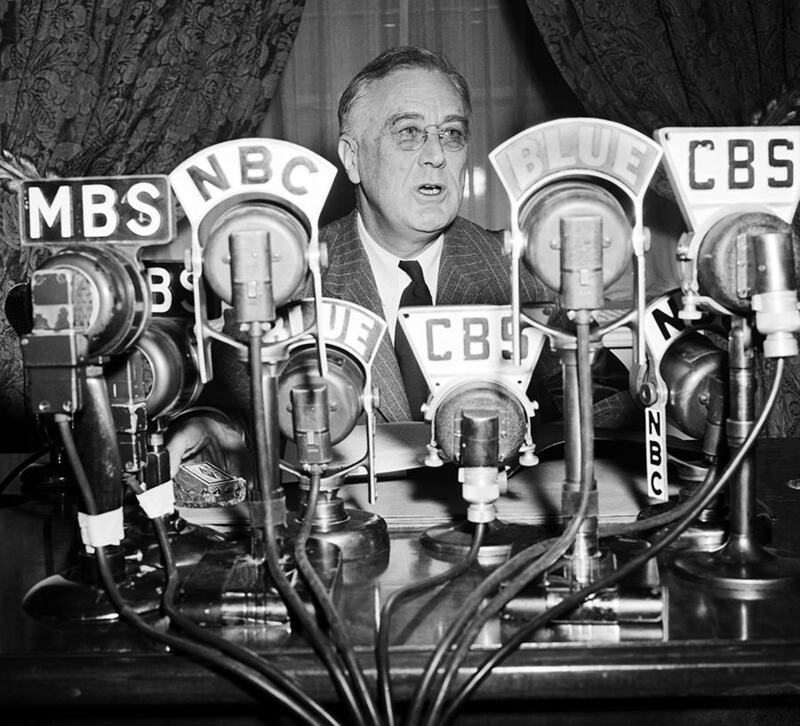 1945 was a big year for news, the death of FDR, V-Day, two atomic bombs dropped on Japan, and the end of WWII. 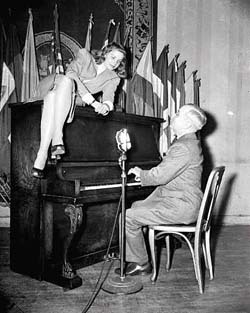 This weekly syndicated program featured the music of the 334th Army Service Band and songs from vocalists Clark and Eberle, along with stories about soldiers who were performing heroically at home and abroad. 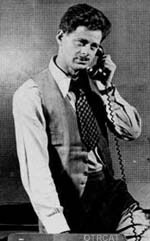 In 1946, Norman Corwin spent 4 months on a flying trip around the world, carrying 225 pounds of recording equipment to 16 countries. What should have been a broadcasting triumph was aired in the same timeslot as Bob Hope, dooming One World Flight to relative obscurity. Six weeks after The Attack on Pearl Harbor, City College of New York made broadcasts which would include the tools of Democracy, Civil Defense training courses, freedom of Religion, Freedom from Want, "Immigrants All, Americans All" and other topics. All Star Show to Support War Bonds! Red, white, and blue, patriotic radio shows just for you! OTRCat presents some of our favorite Patriotic Radio Episodes. 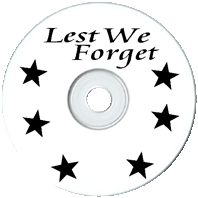 Included are Historical Dramas, WWII episodes, AFRS Programming, Family Comedy, and Baseball Stories. 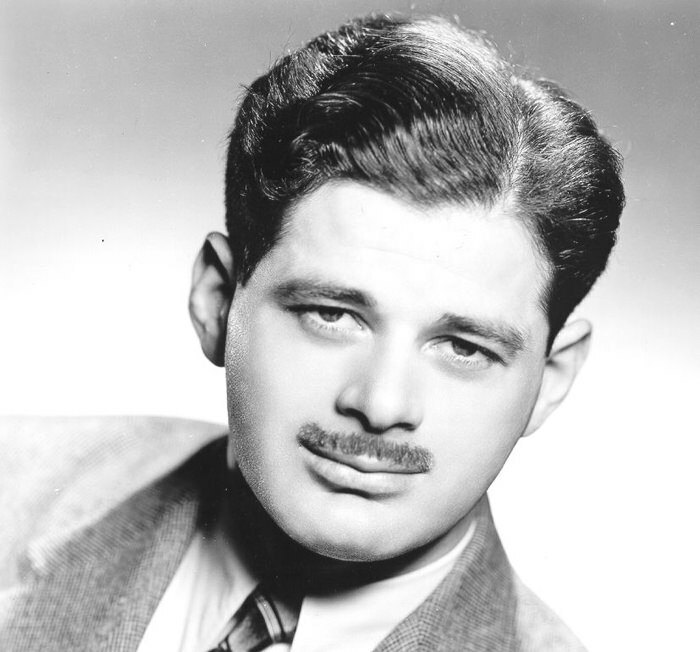 During WWII, Arch Oboler dedicated his talents to the war effort. He produced this series--drawing in many big-name stars for the cause. A collection of rare, hard to find shows from all genres including Heart Throbs, Heritage Radio Theater, The Man Behind The Masterpiece, Nightcap Yarns, Victory Parade of Spotlight Bands, Mr. Pickwick's Christmas. 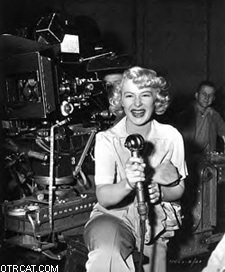 A Hollywood talent scout say Rhonda walking on the street have her a seven year contract without a screen test and she was once known as "the Queen of Technicolor." Members of the City College of New York began appearing on WNYC on Saturdays at 10:45 AM to discuss how their various scientific disciplines would contribute to the Allies winning the War. was originally a comic strip created by Sgt. George Baker during WWII. The comic strip followed Sad Sack troubles and foibles of a misfit in military life. The situation comedy radio show picks up with Sad Sack returning home to make a civilian life. 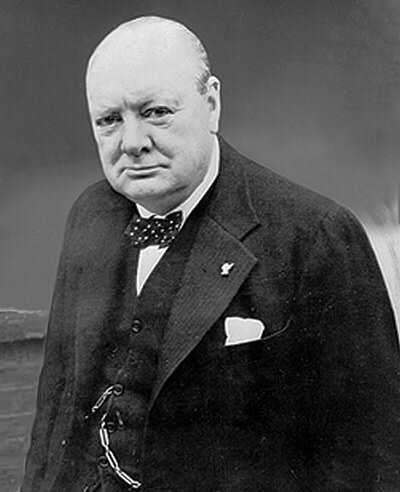 major events and campaigns of WWII are presented using historic recordings and reenactments of important speeches. features top writers, reporters, and intellectuals who focus on the importance and value of citizenship and liberty for all people regardless of race, creed, or color. Hosted by Cesar Saerchinger and created as joint venture between NBC and the American Historical Association cover "outstanding news events and major trends in world affairs"
Let the pioneers of broadcast war journalism transport you back to the early days of the war in Europe with news from London, Berlin, and Rome. well produced series ran near the end of WWII as part of the War Bond Drive. The thirty-minute programs featured dramatized biographies of our wartime leaders. WWII wartime propaganda show with fictional and outrageous tales of the evil doings of the Axis Powers. Directed by Norman Corwin and broadcast over all four major networks in support of the War Effort. 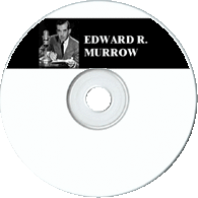 Relive the early days of World War II with Edward R. Murrow and the Murrow boys as they brought the news from the European capitals. During War time Radio became an important propaganda tool. One of the most notorious efforts was Tokyo Rose. WWII program geared to bridge the gap between the pond and forge a strong relationship between the people of Great Britain and the United States. Adventure, violence, and intrigue are waiting for a group of escapees and the commandos who are sent to World War II Yugoslavia to help rescue the group. For the peoples living in the victorious nations it seemed as though it should be a time of celebration, Nazi Germany had declared their unconditional surrender to the forces of the Allied Powers. On the path to victory, all hand were on deck to defeat the Axis even Soap Operas of old time radio sponsored by the United States Government. Japan officially surrendered from WWII on the deck of the USS Missouri (BB-63) on September 2, 1945. Transcribed under the assumption of the end of the war the day after the atomic bombing of Nagasaki, this recording is a significant part of American history as it reflects the tension as we teetered at the end of WWII.